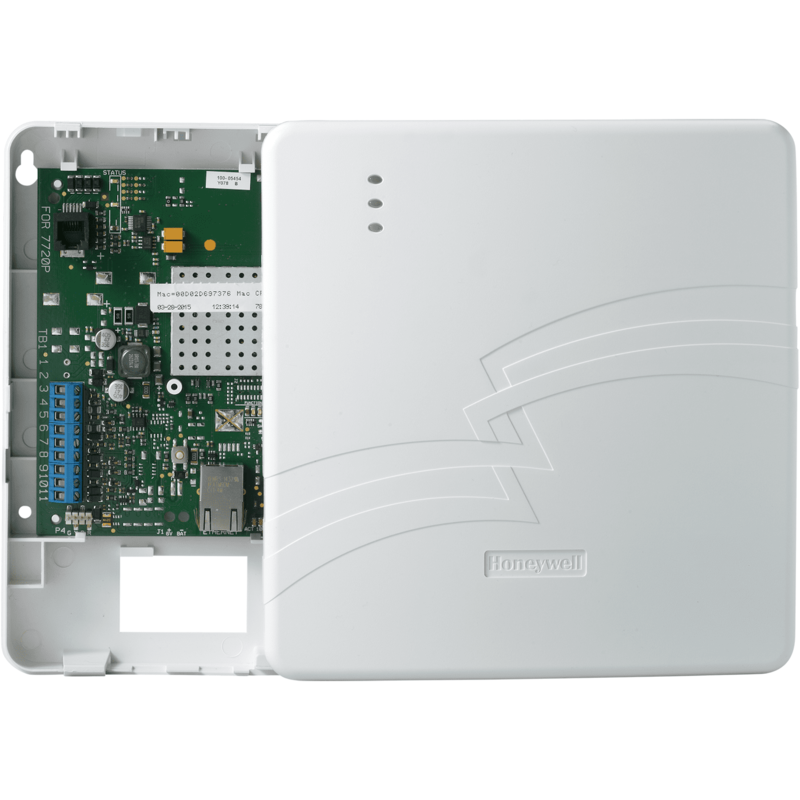 The Honeywell 7847i-E is an AlarmNet enterprise broadband internet alarm monitoring communicator that is compatible with Honeywell's VISTA Series security systems. Honeywell's 7847i-E is our newest IP Communicator and it is designed to meet today's demand for viable communication alternatives. The 7847i-E is suitable for enterprise private network applications using local LAN or point to point connections. This easy-to-install device provides sophisticated data security and communicates directly to a 7810PC or 7810iR-ent Intranet receiver in a private network application. The Honeywell 7847i-E commercial burglary standards include; UL 365 Police Connected Burglar Alarm Commercial Burglar, UL 1076 Proprietary Burglar Alarm Units and Systems, UL 1610 Central Station Burglar Alarm Commercial Burglar, and Encrypted Line Security (Grade AA) Commercial Burglar. The Honeywell 7847i-E residential burglary standards include; UL 1023 Household Burglar Alarm, and UL 985 Household Fire. -Compatible with Dialer Capture Intelligence Device (non-ecp capable LYNX) or DCID-EXT (other control panels). Captures Contact ID messages from the panels phone line and sends them to the central station via the IP communicator.